In this work, two-dimensional nonlinear photonic crystals made of lithium tantalite square lattice structures with periodicity of 8.5μm х 8.5μm, and size of 2cm long and 1cm wide were prepared for investigating the nonlinear optical processes. 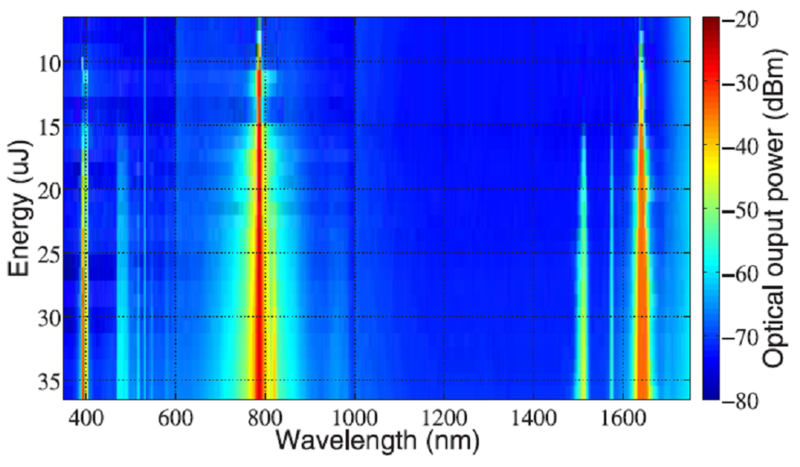 With increase of green pump intensity (Fig.1) from 50 MW/cm2 to 260 MW/cm2, we observed progressive multi-wavelength generation in spectral range from 400nm to 1650nm with increase of peak intensity and blue shifting in the newly generated wavelength. 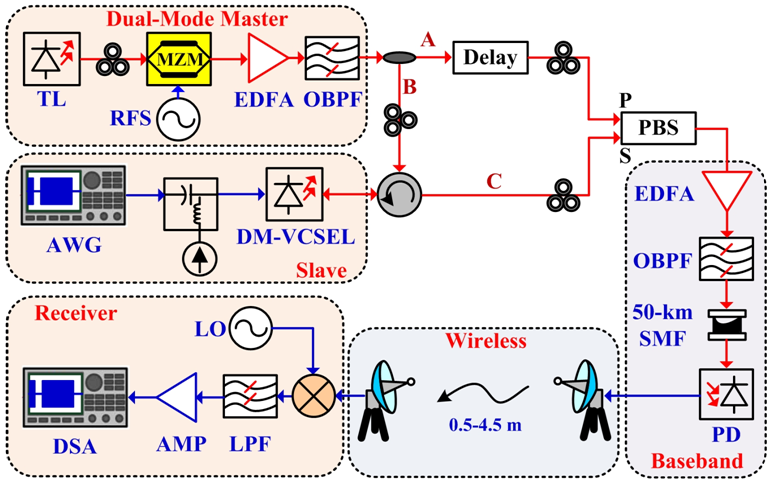 Further analyses indicate that the optical signals were ascribed to the quasi-phase-matching processes due to second harmonic generation, sum-frequency generation and other frequency conversion in a cascade process. These conversions are assisted by all the optical nonlinear process involving χ(2) and achieved by satisfying the quasi-phase matching conditions. 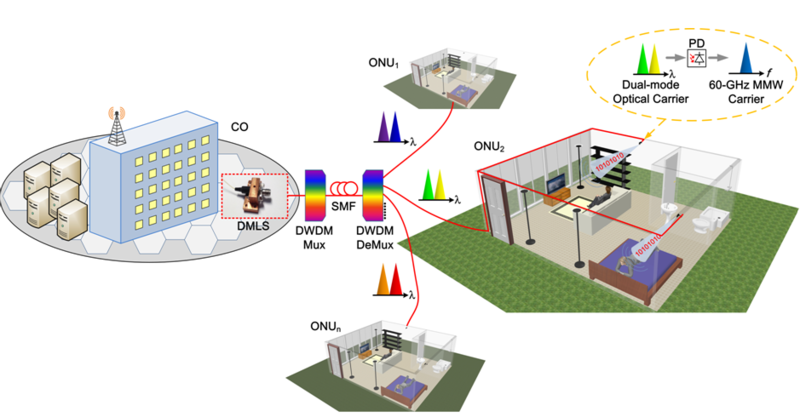 Reference: Zohra Yellas, Min Won Lee, Régis Kremer, Kai-Hsun Chang, Mahmoud R. Beghoul, Lung-Han Peng, and Azzedine Boudrioua, “Multiwavelength generation from multi-nonlinear optical process in a 2D PPLT,” Opt. Exp. 25, 30253 (2017).